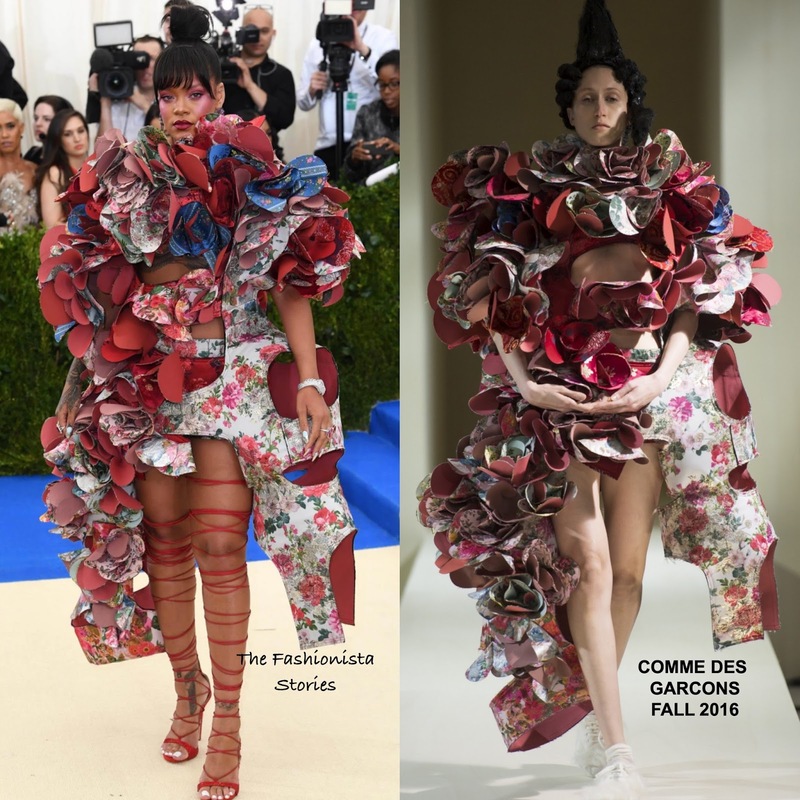 She didn't attend last year but Rihanna was back on her fashion high on May 1st at the Kawakubo Comme des Garcons-Art of the In-Between 2017 MET Costume Institute Gala at the Metropolitan Museum Of Art in New York. Working a avant-grade inspired look from the event's honoree, Riri nailed this COMME DES GARCONS FALL 2016 floral panel dress which was layered like petals with cut-outs. I think if I saw this on anyone else, the results would be different. From the hair, make-up and thigh-high lace-up sandals, this was a winning look. One of the top best of the night. Do you agree?